I have been in a bit of a creative funk lately. I was sitting at my kitchen table a couple of weeks ago attempting to make a card and I just could not make anything. I just had no inspiration at all. None, zero, nothing!! I think it is something we all experience from time to time. I just felt I needed a wee break to recharge my creativity again. A couple of weeks went by. Then yesterday I sat at my table again. With pen in hand I was going to make a list of what inspires me. I thought that might spark something inside me to create. I had bunch of flowers on my table in a plain glass vase. I just sat and stared at them in the morning sun. The colours were so vibrant. I loved the contrast of the bright pink and fresh green. They put me in the mood to make something! So I never got around to my list ha ha!! 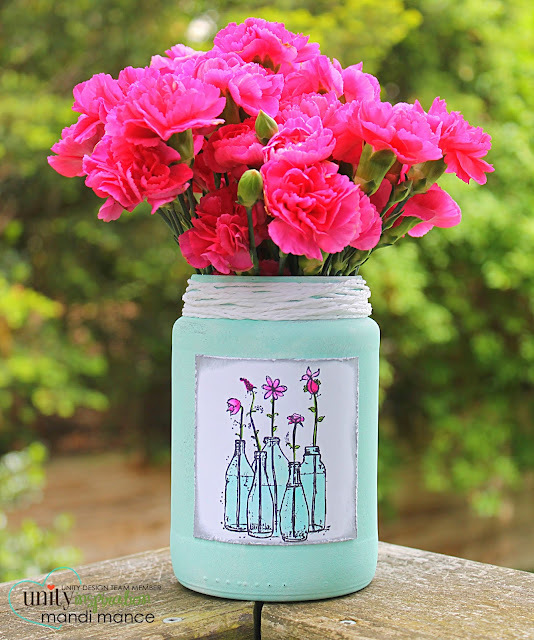 I decided to make myself a new jar for my flowers. Keeping with the colour scheme of the flowers. I painted the outside of an empty pickle jar with chalk paint. Then I dug through my stamps to find something that would look good on my jar. 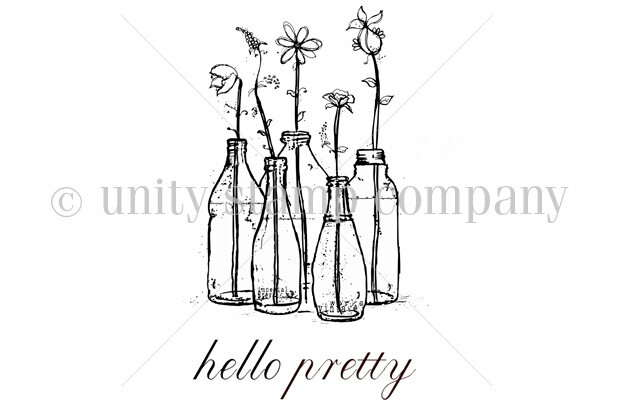 I found this one it is called Hello Pretty. It really is such a lovely stamp. 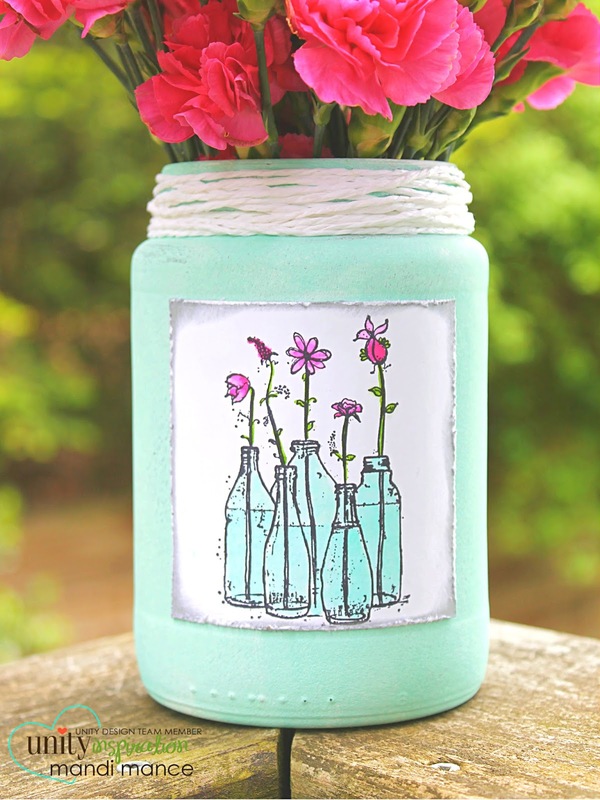 I liked the idea of bottles of flowers for my jar of flowers. So stamped and water coloured my bottles on to a square of regular card stock. I went around the edges with silver ink and then distressed the edges with a knife. Then I then glued it to my jar. Finally I tied some white paper twine around the mouth of the jar. I hope I left you inspired to make your own. Remember if you need some inspiration to create. Every day objects may just spark some creativity in you.